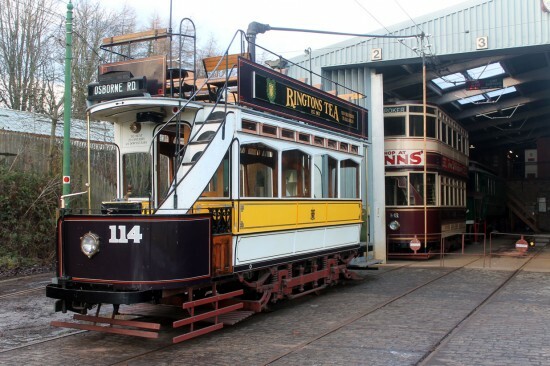 We’ve already had the exciting news from Beamish this week that Manchester 765 is to visit from Heaton Park for most of the first half of the year but before that tram arrives it is up to the resident fleet to cater for early season visitors. 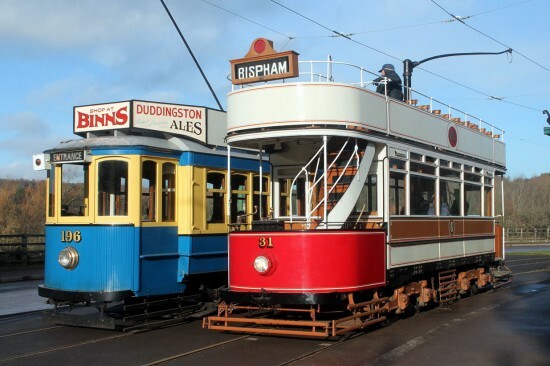 On a sunny 22nd January a two tram service was in operation with Blackpool 31 and Oporto 196 operating either way around the tramway circuit. Work to replace the sleepers between Pockerley and the Town is still ongoing but is not a daily task and when it is not taking place a normal service runs. In lovely winter sunshine Blackpool 31 and Oporto 196 pass at Foulbridge. 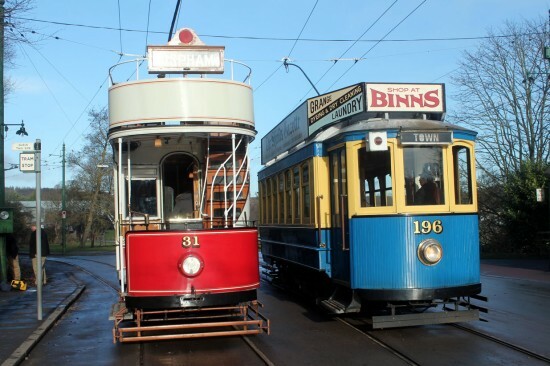 Then around the other side of the tramway circuit we see the two trams passing again.